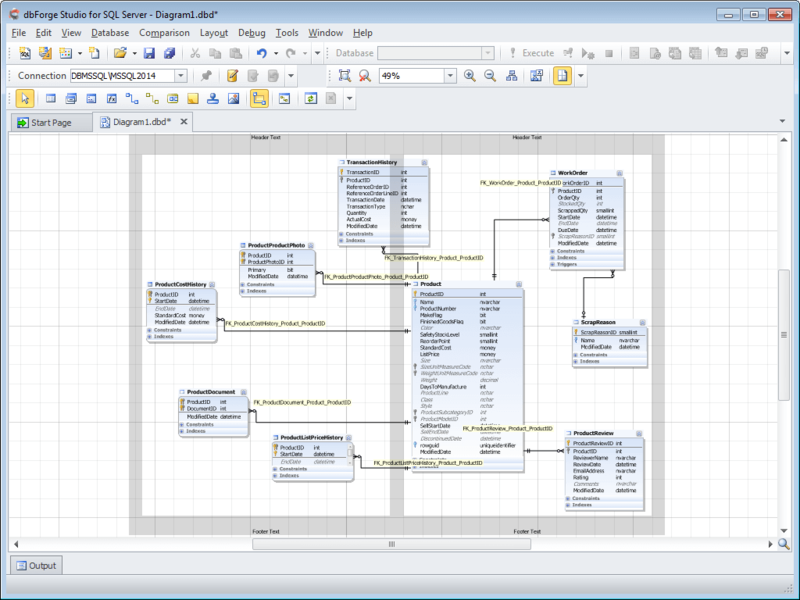 This page provides more detailed information about database diagram tool provided by dbForge Studio for SQL Server. 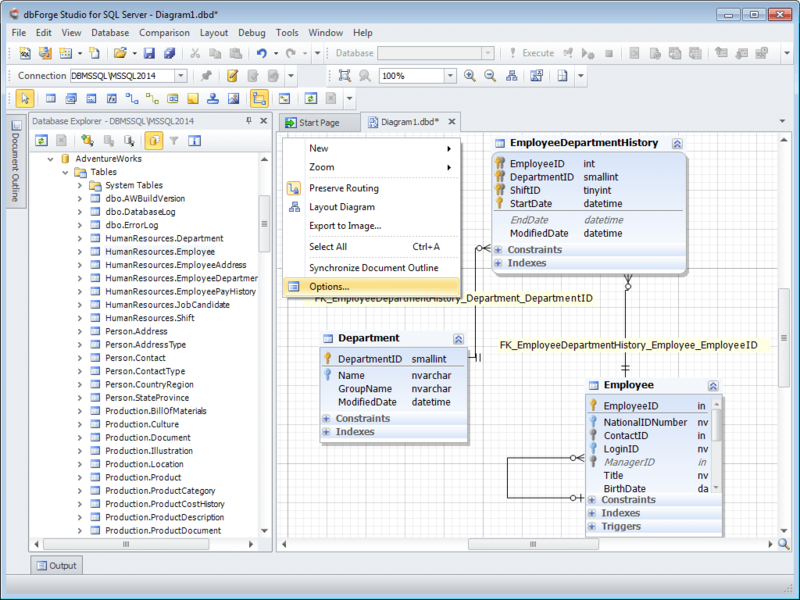 You can create a new SQL Server database diagram simply dragging your database objects from Database Explorer to the diagram. 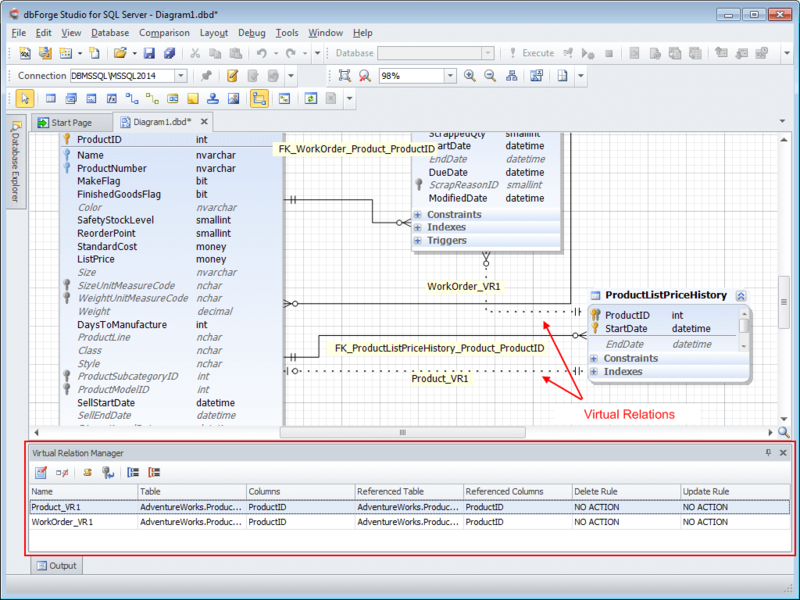 Your new SQL database diagram will reflect all objects and existing connections simplifying further analysis. Relation comments. You can either enable or disable the rendering of foreign key names near the relation child ends. 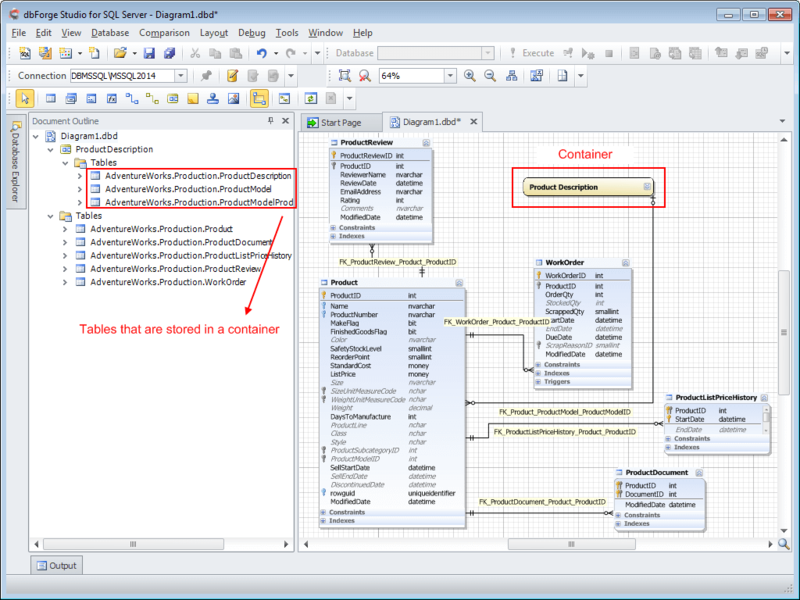 Document outline window shows a logical structure of the currently opened SQL diagram. 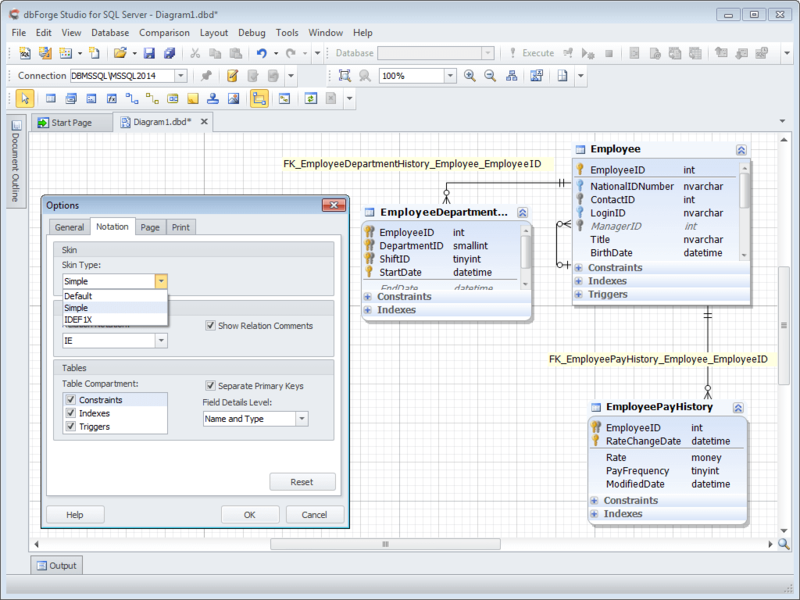 You can use it to navigate between tables and their connections on a database diagram. Other visualization options. You may hide constraints, indexes, and triggers compartments, change its field detail level to display only column names, names with types, or names with full types. Container. In case you work with a large SQL database diagram, a container allows you to store logically related objects in one place. You can create a new container, put related tables inside, rename the container, and then collapse it. Display print markup option shows you the print markup grid. Gray stripes of the grid show the page overlapping, which is adjustable. Creating and editing objects. 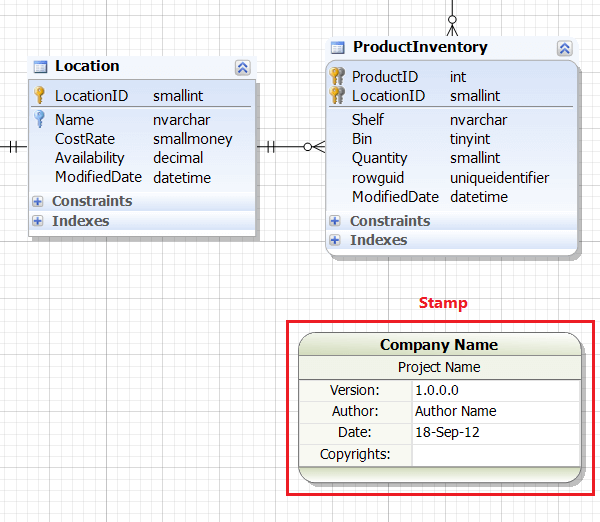 You can create new database objects or edit the existing ones, right in the diagram area. All the changes you have made to an object on a diagram are permanent, and stored on a server. 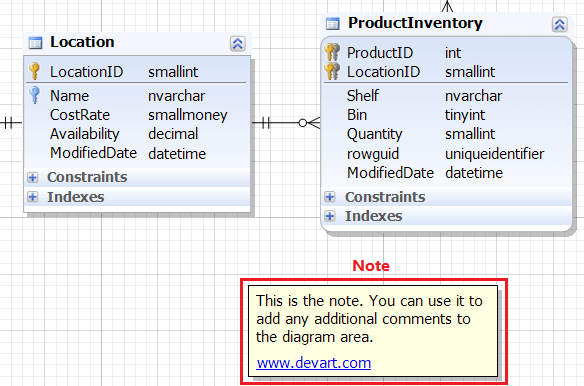 Note feature allows you to add comments to the diagram area, while designing or analyzing a database structure. You can also add hyperlinks inside of your note to other resources. For instance, a hyperlink to wiki pages with a database documentation. Stamp displays the information about a database diagram, and serves to identify a printed copy of the document. Adding of an arbitrary image to a diagram. This feature allows you to add additional visual information to the diagram area, such as a diagram sketch, or draft.